God of Cube come back with S+ Card inside!!! +Get S Card CoCo or Tricia from Ancient Cube Get 200 Diamonds FREE!! 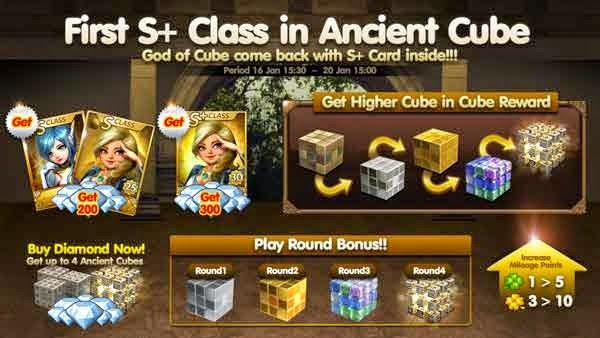 +Get S+ Card Tricia from Ancient Cube Get 300 Diamonds FREE!! +Play Round Bonus!! Play More Get More!!!! +Buy Diamond Now! Get Up to 4 Ancient Cubes! Hurry up to get the strongest class card Tricia S+ comes only in Event Period! kuis Kamu Mahasiswa Jogja? Yuk Lihat Sampai Manakah Level ‘Jogja’mu?